If you've already organized some of your photos in iPhoto, Shoebox lets you pick up where you left off. 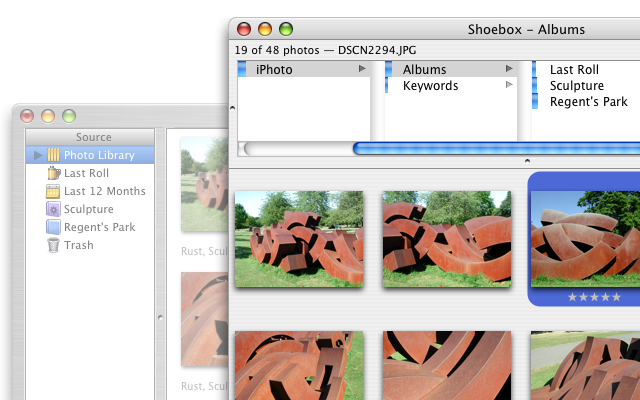 Choose Import from iPhoto, and Shoebox will add all the photos from iPhoto to your catalog. It will create categories for all your albums, and for your keywords too. It will even keep your ratings.